Should you choose a boutique cruise? You are less likely to get lost on board a smaller cruise ship, and you can visit ports of call that cannot accommodate big ships. The first view of the Grand Plaza of Tikal, “the New York City of the Mayan world,” is a breathtaking moment. Dotted with temples and ruins, and surrounded by the tropical jungle of Guatemala’s lowlands, Tikal is a wonder. Also amazing: the fact that we, guests aboard the Azamara Journey cruise ship, had it all to ourselves. According to a report from Allianz Global Assistance, two-thirds of Americans have never been on a cruise. Reasons vary, including cost, but for many folks, the idea of vacationing on a “floating city,” with thousands of strangers, midnight buffets, and forced fun, sounds awful. Ah, but there’s another option: what we call the “boutique” cruise. Hitting the sweet spot between super-tiny and ginormous, this size ship offers intriguing ports, a subtly luxurious vibe, and enough passengers to keep things lively on the dance floor — but not so many that you can’t score a lounge chair or get a turn on the elliptical machine. ThingsCruise.com and senior partner at www.CruiseCompete.com. Should you consider a small ship cruise? Here are the pros and cons. Where do you want to go? Smaller ships appeal to travelers who like getting off the beaten path, since they can explore ports where the big ships don’t fit. “At some ports, the channel is not deep enough or the pier is not long enough for the big ships, nor does the port have the infrastructure in place to offer tours and activities for the masses,” says Tom Stieghorst, senior cruise editor of the trade publication Travel Weekly. Also, some smaller ports don’t have a dock, so cruise ships need to tender (drop anchor and ferry guests to shore on a smaller boat.) “A classic example is Portofino, Italy,” Stieghorst says. “It’s a tender port, where only small ships can go. If you put 3,000 or 4,000 people there, it would be pretty overwhelming.” The BVI is another cruising ground favored by small ships. Who’s coming? “Are you cruising as a couple, a family, or a multi-generational group? What type of experience do you want, intimate and quiet or bold and lively?” This is the first step, says Shane. If you’re bringing the kids, look at the larger ships (2000 passengers or more.) These offer a large number of cabin options in various price ranges, numerous dining options, and extensive children’s amenities and programs. 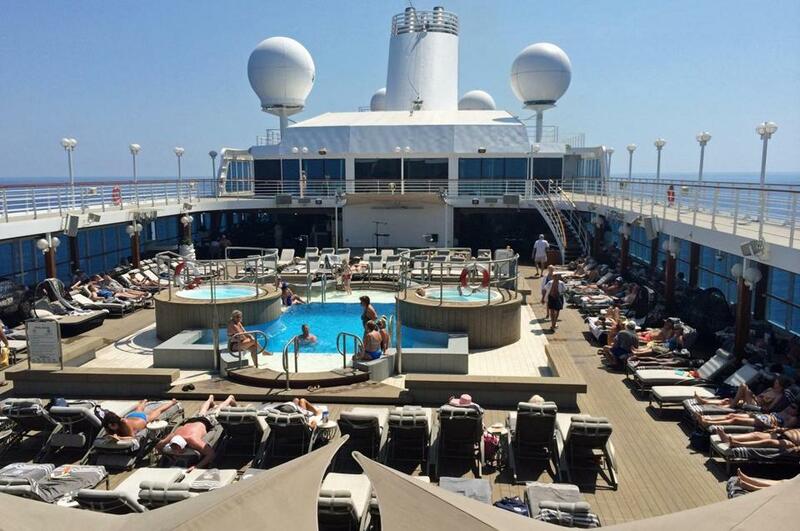 Smaller ships are geared toward adults seeking luxury and relaxation as they explore exotic ports, not kids. Speaking of luxury, what is the price difference between large ships and smaller ones? Generally, there is more included in your rate on a smaller ship, but the price is higher. “You can pay a very low price for a cabin on [medium-size and larger ships such as] Princess, Celebrity, NCL, and enjoy all the ship has to offer without spending a whole lot more,” says Cynthia Boal Janssens, editor-in-chief of www.AllThingsCruise.com. “Of course, most folks buy shore excursions, drinks, photos, and so on, and that pushes up their bill.” If you don’t want the extras, and can stick with a budget, you can snag a great deal on a bigger ship. What about food and entertainment? Boutique-size ships typically offer gourmet cuisine, and open seating for meals. Being smaller, they can make the most of local products, like fresh salmon in Norway. However, bigger ships offer many more dining options, from ultra-casual to fancy. When it comes to entertainment, there’s a noticeable difference. If you like wow-worthy stage shows, casinos with all the bells and whistles, and lively discos, think big: The larger the ship, the more elaborate the entertainment and activities. On large ships (2,000 to 2,999 passengers), look for things like fireworks, outdoor movies, and stage shows. On extra-large and XXL ships, Broadway-quality shows, 3-D movies, and extensive waterpark areas are among the amenities offered. Some of the big ships have several pools, while a small ship might have one smallish one. In a nutshell: “Ships with about 800 to 4,000 passengers offer more adrenaline-rush-type activities, entertainment, and dining options,” says Shane. Will I get seasick? Well . . . it’s possible. Seasoned cruisers bring motion sickness meds on every voyage. On a smaller ship, the captain has more flexibility to change course and avoid choppy seas and bad weather. On the other hand, the bigger (XL and XXL) ships offer increased sea stability, with very little motion, the experts say. One particular night of our Azamara Journey cruise seemed to capture everything that’s special about small ships. It was White Night — everyone was dressed in white for an alfresco dinner on the deck, followed by a live show performed by the Journey singers and dancers. As the band played everything from ABBA to Elvis, guests filled the dance floor. So what if the crew had done the same thing two weeks earlier, with a different cast of cruisers? Amid the swirl of bodies, under a star-filled sky, it was magical.